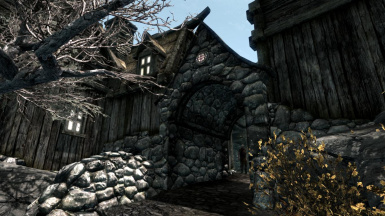 This mod adds a brand new town around the Old Hroldan Inn located in the Reach. 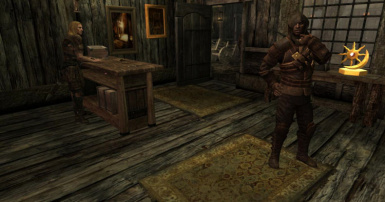 There are many new shops, a secret underground town, enter able windows on all NPC houses, NPCs turn their home lights off at night, four homes the player can buy, see through windows, 29 voiced characters, over 800 lines of voiced dialog, 23 dialog scenes. Do not alter and reupload any part of this mod or re-upload at all. Do not re-upload this mod to any other websites in any form. If you wish to use the resources in this mod then you must apply for permission from the author of those specific resources. This includes the voice acting files which are owned by each individual voice actor. You may create and upload compatibility patches that do not change anything other then what is necessary for compatibility with other mods. Please send me a link to your patches so that I can link to them from here. You may use the resources I personally created freely, please give credit. I created a LOT of resources in this mod, but I used Artisanix's frames for all the paintings I made and you must credit him as well as me if you use the paintings. You may create patches that add extra content, however they MUST require the user to download the original file here. You may translate into other languages. (Except for You may translate into other languages. (Except for http://www.confrerie-des-traducteurs.fr) Do NOT make changes other then those required to translate. Make sure that it is clear that I am the author of the mod and I would appreciate a link please so that I can link from here. *Nasdren, Belan, Ragnok and Gron voiced by Vulon. *The Twins, Derkil, Josaad, Calim, man on the toilet, arguing thief voiced by TheLoreSeeker. *Mayor and male tavern thief voiced by Lyrahel. *Jobashia, Ravina and Ghost Mother voiced by Cassandra Wladyslava. Brumbek for allowing me to use his excellent meshes from SMIM. Oaristy's for his amazing resource pack. Jokerine for creating the hanging skeleton for me. Runspect for his clutter resource. Artisanix for the paintings and frames. Insanity for washing lines, washing tub, sofa and chair, bowls and smithing paintings. 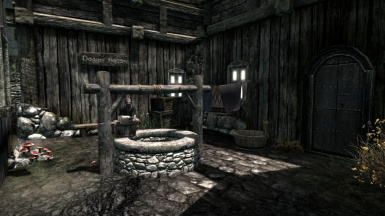 Stroti for the workbenches, spinning wheel and other misc resources.Tamira for converting these to work in Skyrim. Berticus0001 for house sale tutorial and scripts. 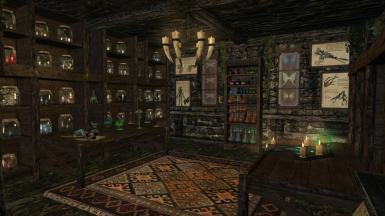 Blary for food containers, potion shelf, alchemy clutter, alchemy wallart, open book resource. Faelrin for guard armor textures. Tamira for the sign modification. 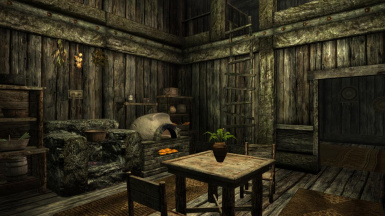 The folks on the Official Morrowind forums who I nagged asked to provide Morrowind pictures. The folks who helped with my endless questions on the Official Bethesda Forums. Jbvw for her textures I used, with her kind permission, from her Oblivion house mod Vaernlor Manor. If I have left anyone out, please let me know immediately so that I can correct. The jars above the oven in Wood Haven were set to re-spawn, this has been fixed and they will no longer re-spawn. This is the only change made in 2.1. Over 800 lines of voiced dialog. Twenty three dialog scenes between residents. 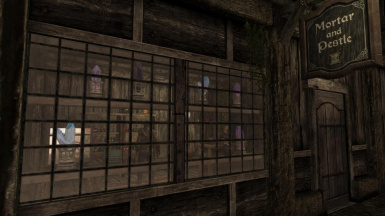 Enterable windows on all NPC homes in the upper town. 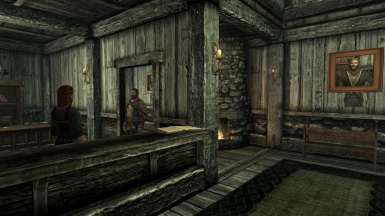 NPCs turn their lights off at night and put out their fires, do your thieving in the dark with nothing but the dim light coming in through windows. Secret underground town with tavern, inn, fence shop, poisons shop, forge and player homes. Access it through a window into an abandoned building. Two taverns and an inn. Two buy able player houses, both very unique. Look out your windows into the towns. Activate able lights, labeled storage, alchemy room, forge, garden with plots to grow etc... See walk through video for one here. Labeled storage for all your item storage needs. Activate able lights, fireplaces in the player homes. Two buy able player apartments, great for the starting character. Both in apartment blocks with other residents. Both with secret exits. 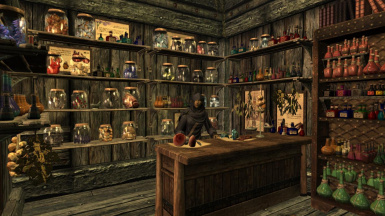 Loads of shops, a clothes store, a general store, an alchemy store, a poisons store, a fence, an archery store, a vegetable stall and a weapons stall. 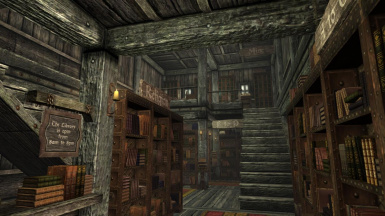 The most complete library in the game, with every non skill book and more. You can read the books but you cannot remove them. Secret passages and secret rooms. Short quest type thing, find out information about a resident. All store have safes to store their takings. 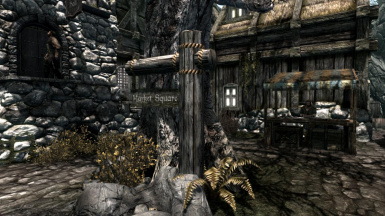 All lore about Old Hroldan is respected and incorporated into the town. Is the town haunted? Find out. 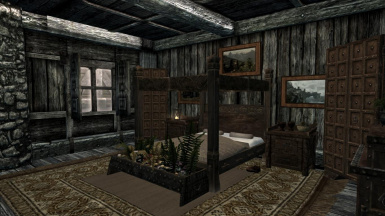 All house interiors are unique. I challenged myself to create different layouts for each house. 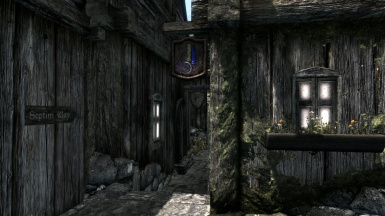 Download better a quality texture for the Old Hroldan Inn here from this mod by garthand. If the bard has run through his songs and stops playing in the Cloak and Dagger Tavern, leave the cell and return, he will play again. 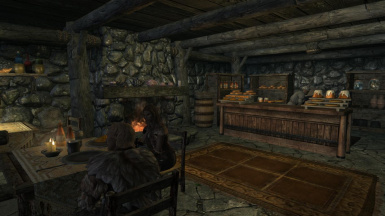 There are twelve dialog scenes in the Cloak and Dagger Tavern, sometimes scenes can take a while to start so you may need to wait around a while or keep returning to hear some new tale. To hear information about a certain resident you can hear a scene between the Mayor and his assistant, Helena, in the Town Hall. Keep entering the place, that scene will crop up. 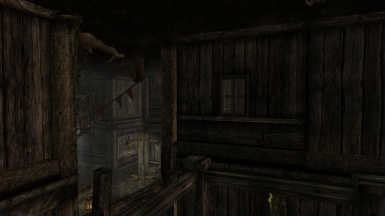 Look around carefully, often even non voiced NPCs have a tale to tell of how they got to the town and why they are there. 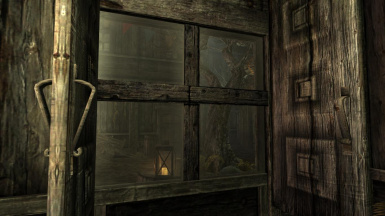 The doors in the underground town are scripted to close themselves, this is to ensure that they are not locked by the NPCs in the open position, which would allow the player to access shops after closing. 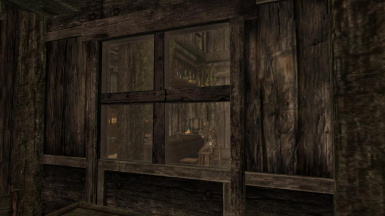 The weather may be different in Wood Haven, from outside. If this bothers you, try to exit and then re-enter the cell. Other then that there is nothing that can be done there. If you break the law the guards will send you to Cidna Mine in Markarth. You need to really investigate, explore, talk to people, listen and activate stuff to really find out what is going on in this town. There is tons going on and the town has real character and depth to it. If you just pass through quickly you will miss a lot. 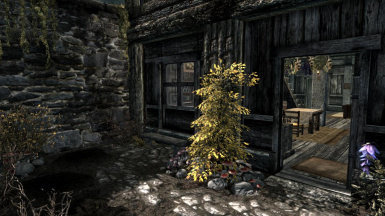 I am aware that in the player house, Wood Haven, if you use Frostfall it will act as though you are in an exterior cell. I have no idea what I can do about this, I cannot make the cell an interior. At this point you cannot move your family there, the way the player homes are set up does not allow this. This may change in the future. I don't use an ENB, never have. So the screenshots and the in game lighting are all done to a vanilla game with no texture replacers or ENBs. This file has been cleaned with TES5Edit. Download and extract the files using 7 Zip or Zip Genius or any extraction program like that. Place the ESP and the BSA in your Data Folder. You are done. Go in game and check out the mod but do NOT save unless you want to keep the mod in your game. To uninstall simply delete the esp and the bsa. There done. Nasdren, Belan, Ragnok and Gron voiced by Vulon. The Twins, Derkil, Josaad, Calim, man on the toilet, arguing thief voiced by TheLoreSeeker. Mayor and male tavern thief voiced by Lyrahel. Huge thanks to CDM for sorting out the lights script. *Individual resource credits listed in Permissions and Credits tab. You may translate into other languages. Do NOT make changes other then those required to translate. Make sure that it is clear that I am the author of the mod and I would appreciate a link please so that I can link from here. ALL RIGHTS RESERVED. This content may not be copied, reproduced or re-uploaded in any form without the express permission of the authors. This includes, but is not limited to, all descriptions, images, files, comments, sounds, names.